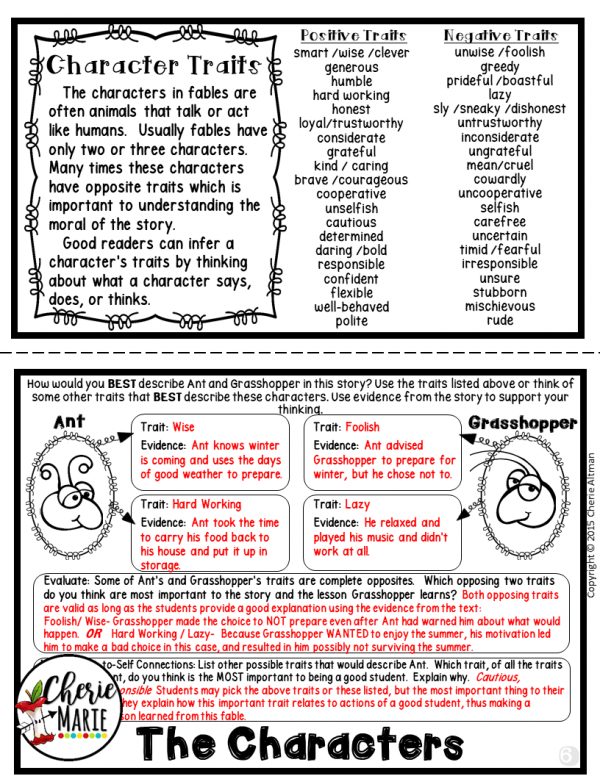 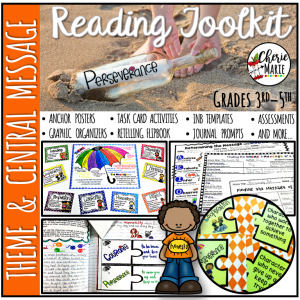 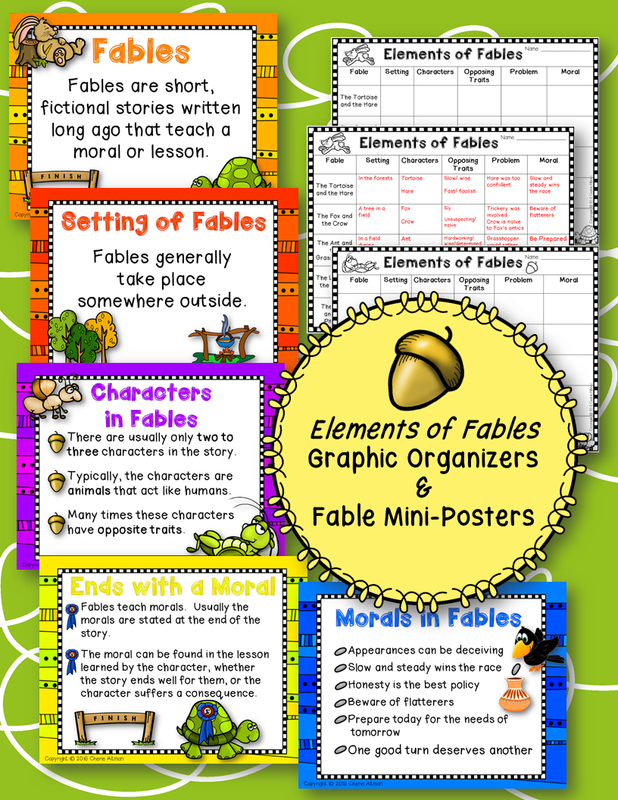 This is perfect for teaching a fable unit in upper grades (3rd, 4th, 5th), while targeting story plot, theme/message, and character analysis. 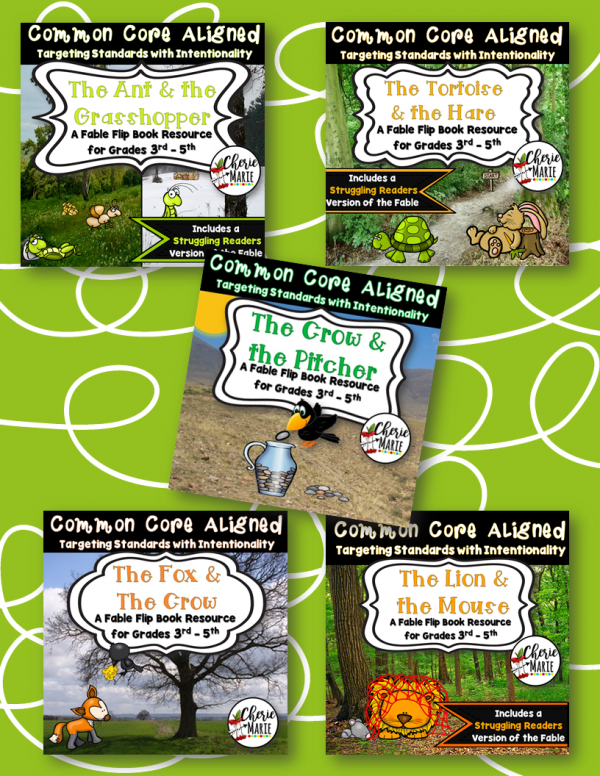 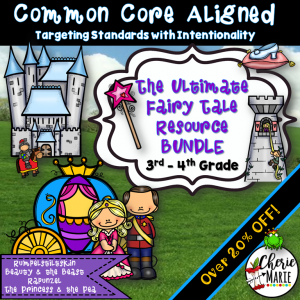 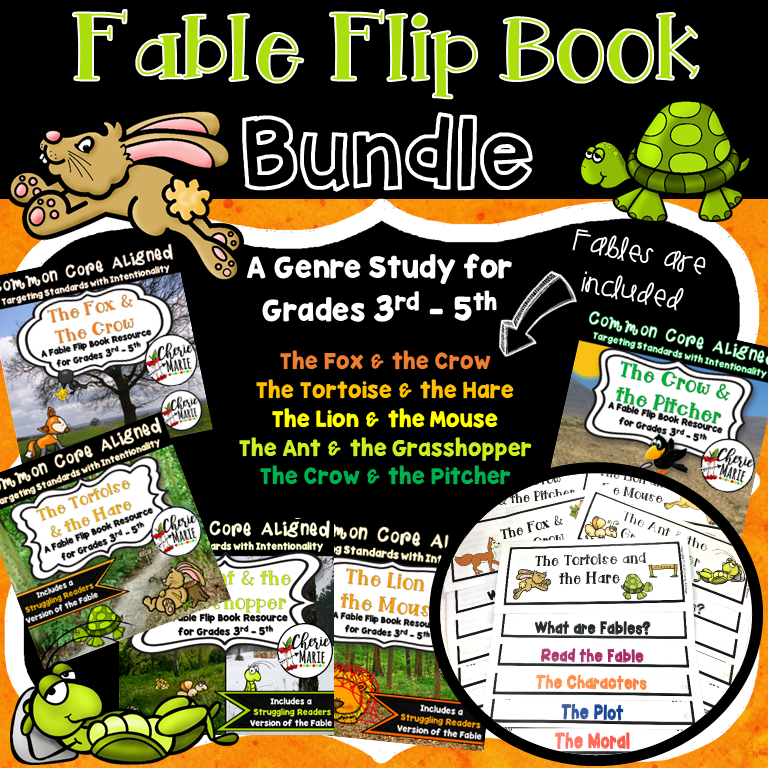 These all-in-one instructional resources were designed to attend to 3rd and 4th grade common core literature standards (Key Ideas & Details) and RL.4 (vocabulary) and RL.6 (point of view) while studying fable genre. 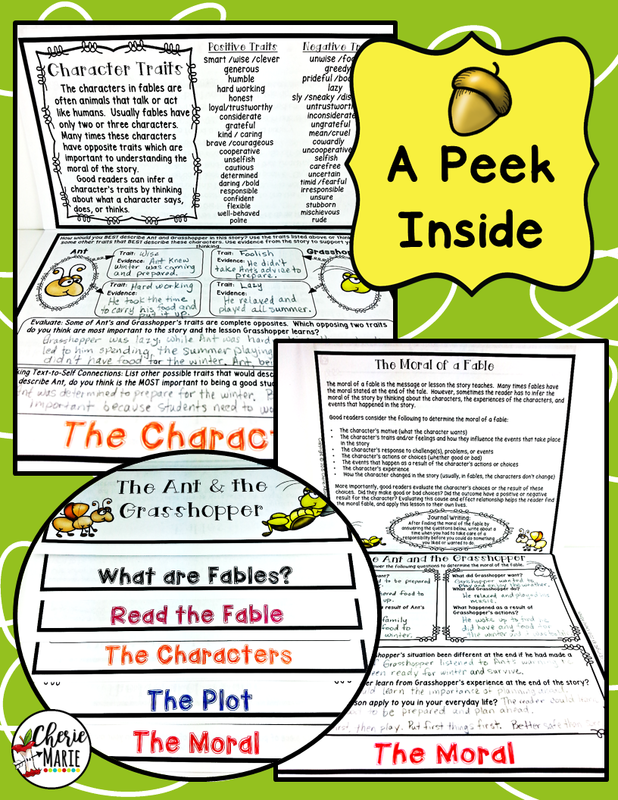 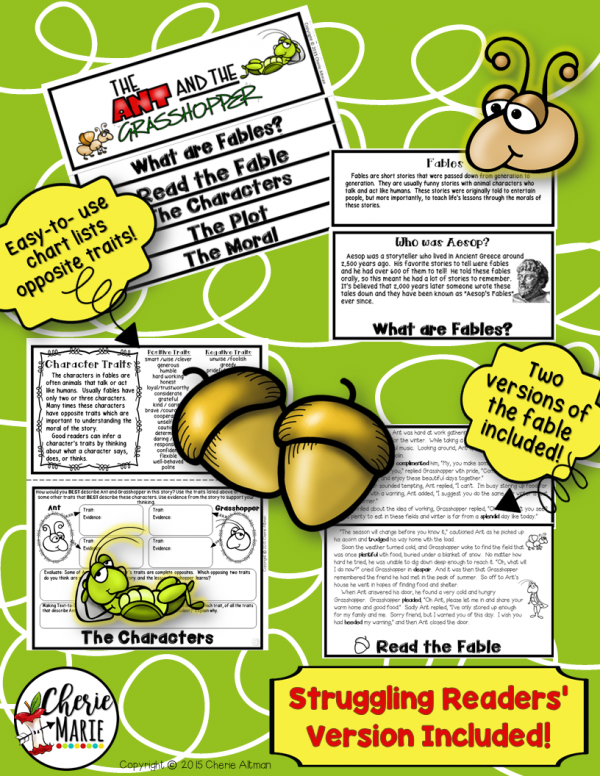 Included in each double-sided flipbook is the fable itself and all the essential questions/graphic organizers (specific to each particular fable) necessary for guiding students in analyzing characters, story plot, characters’ and the reader’s point of view, as well as determining the moral of the fable. 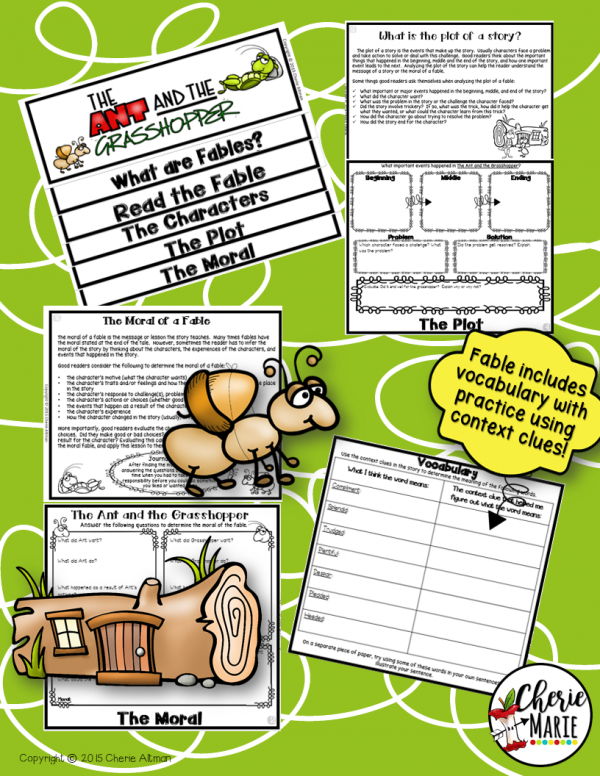 Teacher’s notes and detailed answer keys have been added to assist students in a close read of each fable and optimize classroom instruction. 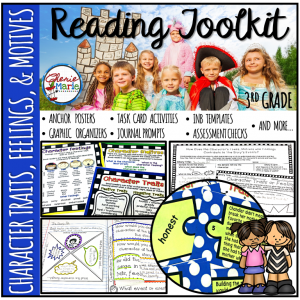 Easily constructed, each flip book is perfect for any reading instructional setting: whole group, partner reading, centers, or guided reading groups. Fables can be used as part of a genre study unit or spread out across the year for spiral review. 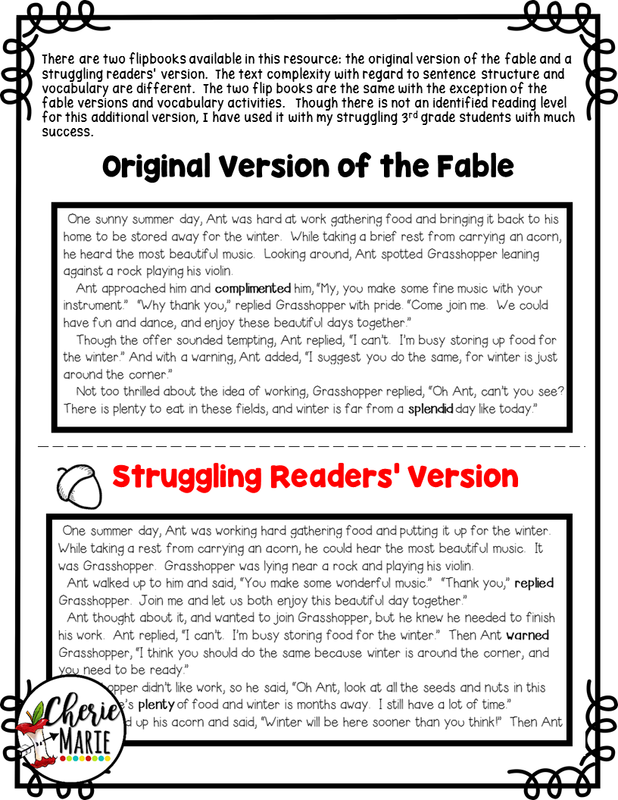 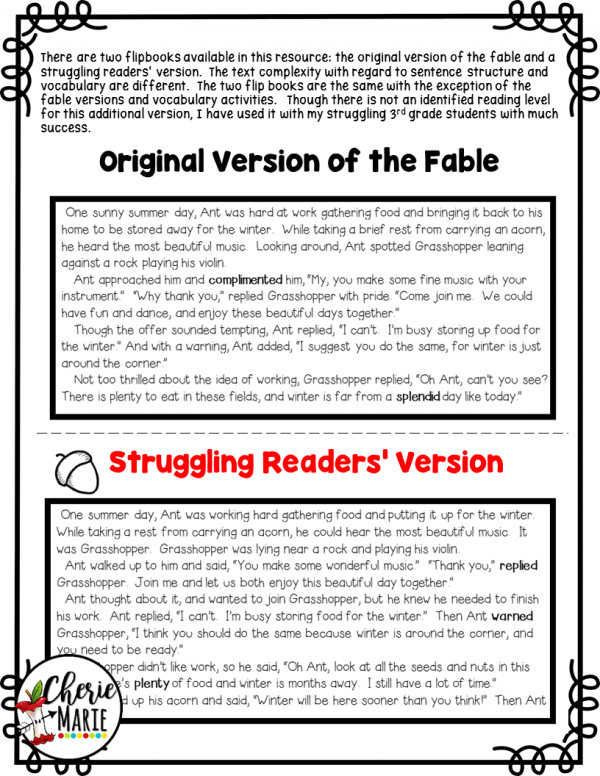 Struggling Readers Versions for 3 fables have been added!